This recipe may seem unusual, but after a big night it makes complete sense. The ‘manchovy relish’ recipe makes one small pot, but you’ll only use a little here, so keep the rest in the fridge to use later. For the relish, pound the anchovies (drain first), then the butter in a pestle and mortar until well mashed. Transfer to a food processor and blitz with the panko breadcrumbs, cayenne, white pepper and mace until smooth. Scoop into a ramekin dish and store, covered, in the fridge until needed. Peel and finely chop the celery, reserving and leaves. Melt the knob of butter in a small saucepan over a medium heat. Add the celery and sweat with the lid on until soft (around 5 minutes). Toast the bread. Meanwhile, crack the eggs into a bowl, season with a little celery salt and beat with a fork. Tip the eggs into the celery pan and cook, stirring with a spatula, until very lightly scrambled. When they’re still soft and just a little underdone, take off the heat. 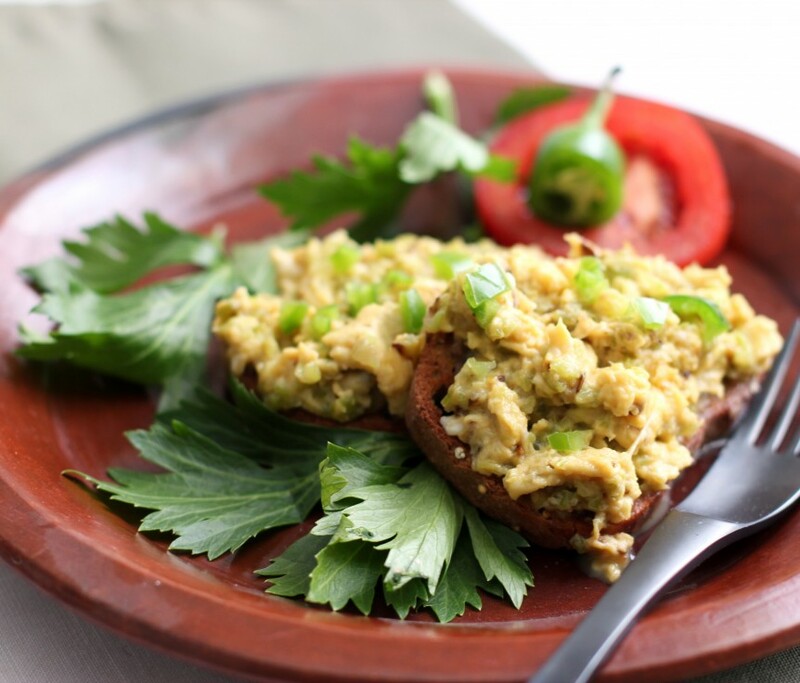 Thinly spread some manchovy relish over each slice of toast, and top with the scrambled eggs. Finely chop the chilli, then use it to garnish with reserved celery leaves, and enjoy.